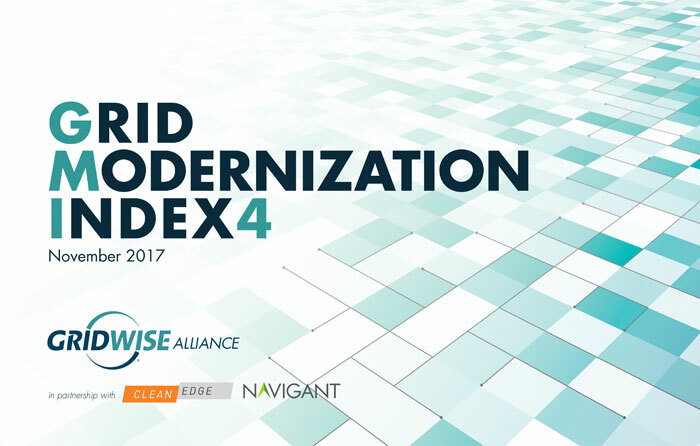 The GridWise Alliance’s Grid Modernization Index (GMI), produced in collaboration with Clean Edge, Inc., assesses and ranks all 50 states and the District of Columbia, based upon the degree to which they have moved toward a modernized electric grid. For the second consecutive edition of the GMI, California ranks highest in the nation overall with a score of 82, and also has the top score in each of the three GMI categories. California’s lead over #2 Illinois has increased to nine points, although both states saw an overall decline in their scores as a result of changes to the scoring methodology. 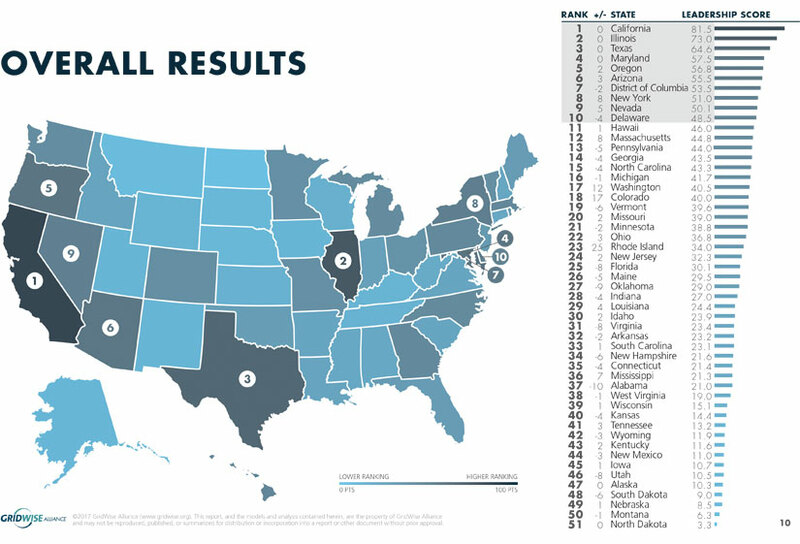 The three states ranked behind California remain unchanged from GMI-3. Illinois comes in second, repeating its best-ever performance from the previous GMI. Texas remains #3, nine points behind Illinois, and there is then a seven-point drop to #4 Maryland. 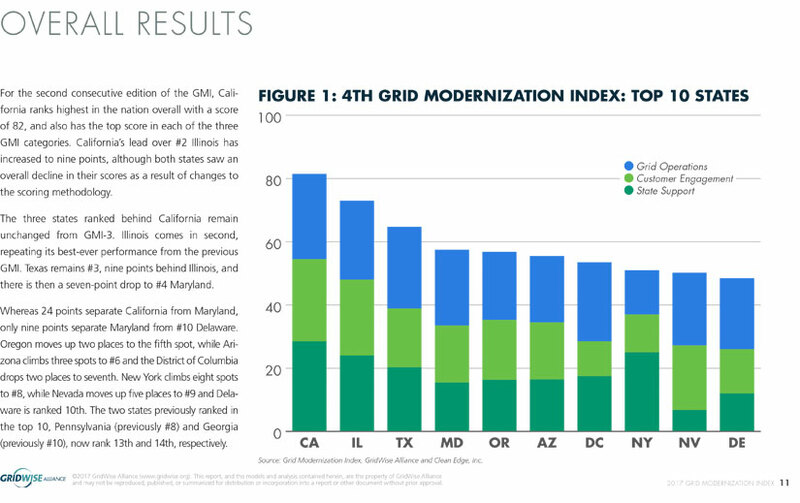 The GMI ranking system uses a clearly defined set of criteria to evaluate and convey the progress and and impacts of this transformative set of improvements to the states’ electricity infrastructure. 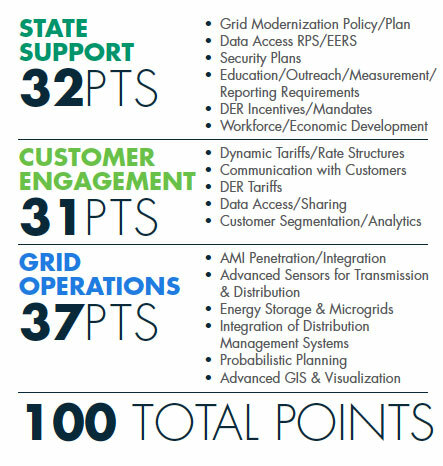 GRID OPERATIONS, which benchmarks the deployment of grid modernization technologies such as sensors and smart meters. 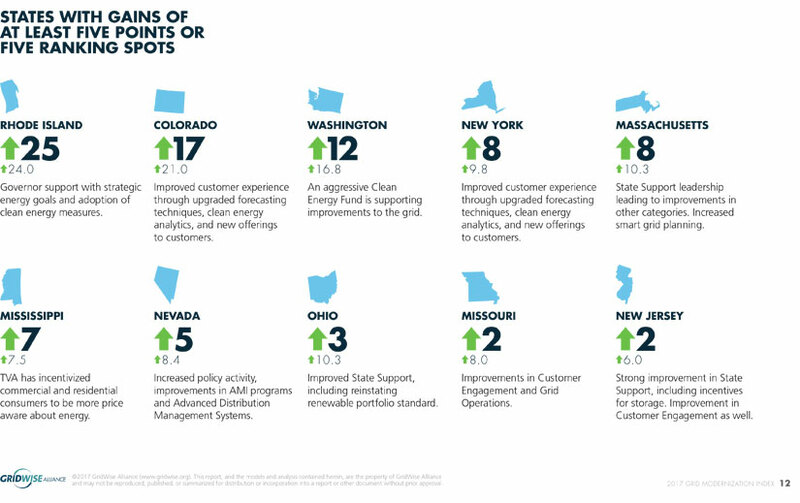 Based on data collected from December 2016 to July 2017, the GMI benchmarks states on a wide range of grid modernization policies, investments, and accomplishments; providing insights into the influence policies and regulations have on customer engagement, and grid operations. 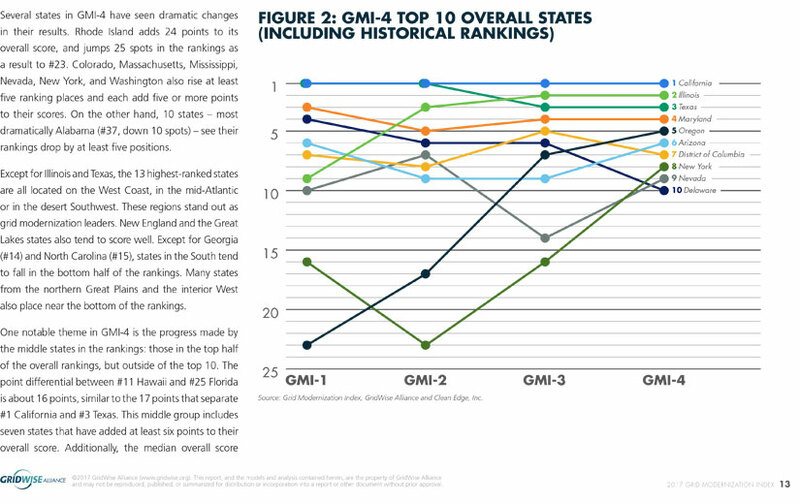 The GMI-4 report is organized to show overall key takeaways and trends from this year’s index, including a deeper discussion of the states with the top overall scores and those with significant improved scores. It then provides an in-depth look at each of the three GMI categories.